Uncertainty in the global market is translating into losses for many investors who are taking on unnecessary risks. UltraTrust.com explain what to look for and how to avoid unnecessary risks. We like to evaluate our clients’ exposure to the financial markets and show them how they can minimize their risks while still 6, 7, or 8% with half the market risk- beta of .3-.5. According to ABC News, experts and are predicting a great deal of volatility as the International Monetary Fund trimmed its outlook for global growth this year and next (1). The freefalling securities of the Dow Jones Industrial Average (DJIA) in mid-September were countered by a brief recovery followed by a few days of fluctuations, only to be capped by a sharp drop on the last day of the month. The closely followed index then rebounded strongly in just one trading session and then plunged into a new period of fluctuation. Although the DJIA had experienced an even sharper drop in late July and early August, many economists and market analysts believe that the ongoing market correction could easily mature into a sluggish bear market (2). In April 2013, one of the most respected names in investment banking called attention to the financial markets as he predicted a rocky decade for stock investors. Jack Bogle, the senior chairman and founder of the Vanguard Group, appeared on CNBC and issued a somber outlook with regard to the global financial exchanges: A market correction between 30 and 50 percent was clearly on the horizon at least once, and perhaps twice in the next 10 years (3). While Mr. Bogle did not appear to be overly concerned with his 2013 prediction, market corrections tend to spell undue risk and significant losses for the average investor. Mr. Bogle explained that he has survived market corrections of 50 percent, once in 1971, three decades later in 2001, and just a few years ago in late 2008 (3). One of the major reasons why Mr. Bogle is not so concerned with a possible market correction is because he believes in efficient fund management and not in market timing. The market correction sentiment is not limited to stocks. Marc Faber, a renowned fund manager and professor at the prestigious Wharton School of Business, sees asset bubbles everywhere. Speaking to CNBC on September 19th, Mr. Faber warned that market corrections tend to follow financial bubbles (4). Mr. Faber also sees potential catalysts of these corrections, which include rising interest rates, a strong dollar, and a downbeat bond market. 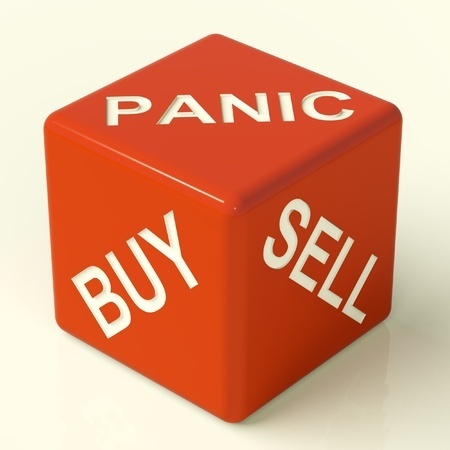 Marketing correction: Panic, Buy, or Sell? For 30 years, Estate Street Partners has been helping clients protect assets from divorce and frivolous lawsuits while eliminating estate taxes and probate as well as ensuring superior Medicaid asset protection for both parents and children with their Premium UltraTrust® Irrevocable Trust. Call (888) 938-5872 to learn more.